Thanks for a great challenge last week, your cards were beautiful! Our challenge theme this week is Die Cuts & Punches! 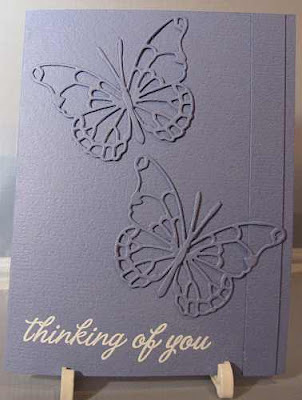 We challenge you to make cards that use die cuts or punches for our heroes to send home to their family and friends! We can’t wait to see your card creations! Our sample card maker this week is Yvonne! 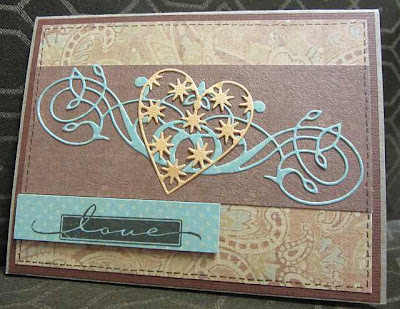 To see more of her awesome creations please visit her blog Penguin Papers. Thank you Yvonne for sharing your awesome creativity with us! Wonderfully beautiful samples. Thanks for the inspiration. These are really pretty cards! Thank you for sharing. Beautiful sample cards Yvonne, thank you so much for being our sample card maker for this challenge! I see someone else likes MB dies! Beautiful cards Yvonne, thanks for these beautiful inspirational samples! Love love love Memory Box dies and since I have a nice selection, I'm excited to play along! They are so fun and the details are amazing!!! Yvonne, these are just beautiful! Love the heart card. NOTE: My first linked card (#4), was not working correctly, so I re-linked a second card today! Please feel free to delete the first one, which was number 4! Ok I have been "lurking" on this site for months -- afraid to play. I am going to give it a try. There are so many gorgeous cards up already. These are some gorgeous cards! Can you share what's the best type of adhesive to use when working with such delicate embellishments? I always end up either mangling my embellishment or blobbing glue all over.